How to enjoy DVD movies on iPad? You might have the idea to playback DVD movies with iPad, but you cannot find a DVD drive with iPad, either a cable to connect to external disc drive. DVD to iPad converter is a nice solution to convert DVD movies to iPad compatible video formats. What should be the best DVD to iPad converter? Just make sure the program is able to rip the DVD, especially the commercial one with CSS or other DRM protections to videos. Convert to a preset for the desired iPad version should be a plus for the DVD to iPad converter. If you have a special requirement, you can also edit the videos or even enhance the video quality. This article shares the top 6 DVD to iPad converters to extract the desired movies on iPad with ease. Aiseesoft Video Converter Ultimate is a versatile video converter to transcode all video formats, including DVD movies. The DVD to iPad converter supports more than 300 video formats for all versions of iPad. More over, it has the excellent editing and enhancing features to further edit the videos according to your requirement. 1. Extract movies from homemade DVDs as well as the commercial ones. 2. Support iPad, iPad Pro, iPad Air and more other models of iPads. 3. Excellent editing features to design the output videos with ease. 4. 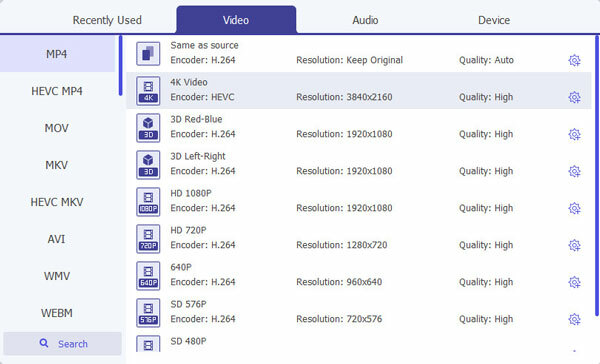 Enhance video quality with different parameter and de-shake the videos. Download and install Aiseesoft Video Converter Ultimate to your PC. Insert the optical disc into your DVD drive and launch the program. Click the "Load Disc" button on the top ribbon to import videos from DVD. It will detect all the threads of the DVD with ease. Back to the home interface and locate the bottom area. Click and expand the "Profile" dropdown menu, scroll down to find "Apple iPad" and select your device model. Next, click the "Browse" button and choose the specific folder to save the videos. Select a video in the library area and press the "Play" icon to preview the DVD video with the built-in media player. If you want to edit the video, click the "Edit" menu on the top ribbon. 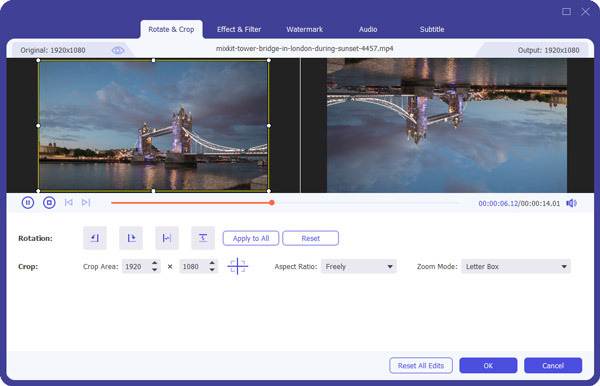 Then you can rotate, crop, enhance the video or add effect and watermark. 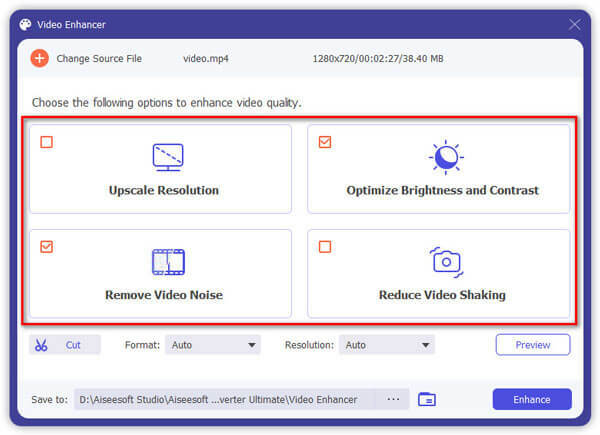 Choose the "Enhance" feature, you can upscale the video resolution, optimize video brightness and contrast, or even reduce the shaking with simple click. After that you can click the "Convert" button to convert DVD disc to iPad compatible format. Once convert an entire DVD to iPad optimal formats, you can transfer the videos to your iPad using iTunes or some professional iPhone transfer programs. Besides the professional DVD to iPad converters, you can also find 5 more programs to extract videos and movies from DVD. Just check out the features as below. 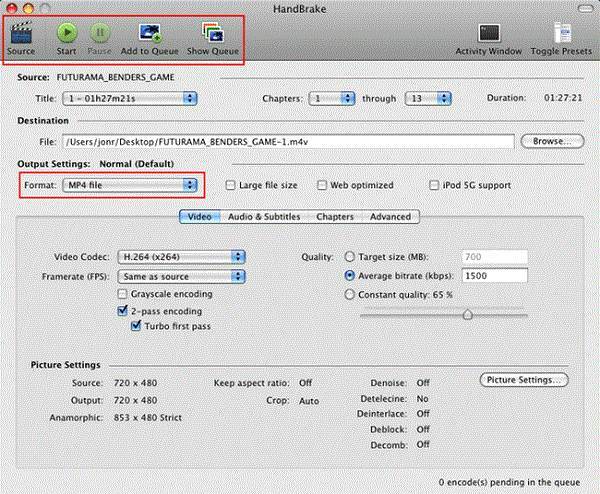 Handbrake should be one of the most popular DVD to iPad converters, which is able to turn movies from DVD to iPad directly. But it should be complicated to install the plugins if you need to convert some commercial DVDs. 1. Open source DVD to iPad converter completely free of charge. 2. Rip commercial DVD to Apple devices with plugin applications. 3. Convert DVD videos to popular to iPad compatible formats directly. 4. 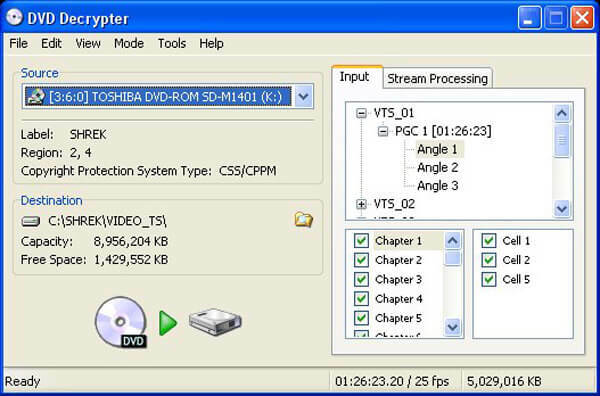 Choose some certain chapters, titles, or clips for DVD converting. 1. Cannot process protected DVD by latest encryption technologies. 2. Complicated converting process and features for the beginners. 3. Cannot preview the videos on your DVD before converting. 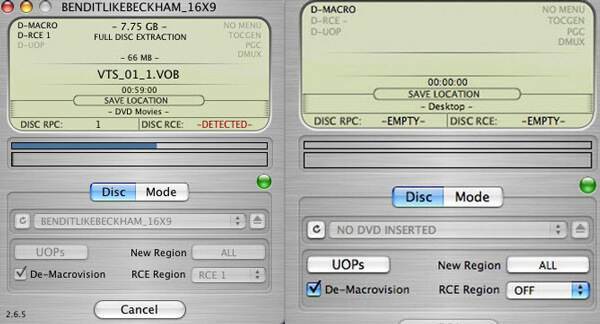 DVD Shrink is another solution to backup and convert the DVDs with DRM protection. But the DVD to iPad converter has stopped updating since 2005, which is not able to work with Windows 8/8.1/10. 1. Free DVD ripping software compatible with Windows operation systems. 2. Fast converting speed convert DVD videos to PC within a few minutes. 3. Straightforward interface and easy process suitable for beginners. 4. Capable to remove some popular DVD encryptions, such as CSS. 5. Compress HD videos automatically within the DVD to iPad converter. 1. The developers have stopped updating since 2005, so it looks outdated. 2. It is not available to Windows 8/8.1/10 or Mac machines. 3. The output quality is poor, because it shrinks you videos. BDlot DVD ISO Master is another method to convert and backup the DVDs. You can save the DVD to ISO files for your computer with easy process, but it takes a period of time for the whole process. 1. Convert and backup different types of DVDs for free. 2. Backup entire DVD in 1:1 ratio to ISO files for different devices. 3. Intuitive interface and easy to use, especially for beginners. 4. Support almost all DVDs, including HD DVD and more. 5. Remove specific region code for DVD videos. 1. The DVD to iPad converter is CPU consuming. 2. Extra software to extract videos from DVD image files. What should you do if you want to convert DVD music to iPad on Mac? Mac the Ripper is the DVD to audio ripper for Snow Leopard or previous MacOS. You have to use extra video converters to get videos for iPad. 1. Rip and convert different types of DVDs to video on iPad. 2. Work on most DVDs with copy protections and different region codes. 3. Clear and straightforward interface with the DVD to iPad converter. 4. Take a long period of time to convert DVD to iPad with outdated algorithm. 5. Online support and tutorials for beginners and average people. 1. Outdated program only works with Snow Leopard or previous MacOS. 2. Rip DVDs to VIDEO_TS folder and extra software to transcode to iPad supported formats. When you want some DVD to iPad converters for Windows 7, especially for the commercial DVDs, DVD Decrypter is a program you can take into consideration. But it does not work well with the latest encryption methods. 1. Turn encrypted DVD movies into video formats to your hard drive. 2. Choose the desired parts to convert an entire DVD or specific chapters. 3. Stable program that works very well on Windows 7 and earlier. 4. Remove CSS, region code, Macrovision protections and more. 1. The DVD to iPad converter does not work with Windows 10 and Mac OS X. 2. Cannot process DVDs encrypted by the latest technologies, like XProtect. This article compiles a list of 6 best DVD to iPad converters to extract movies from DVD to iPad. If you just need to convert some old DVDs without DRM protection, you can choose any program to get the desired files. As for the commercial DVDs, Aiseesoft Video Converter Ultimate should be the ultimate DVD ripper for smartphones you have to take into consideration. If you have any other query about the best DVD to iPad converting programs, you can share more detailed information in the comments.